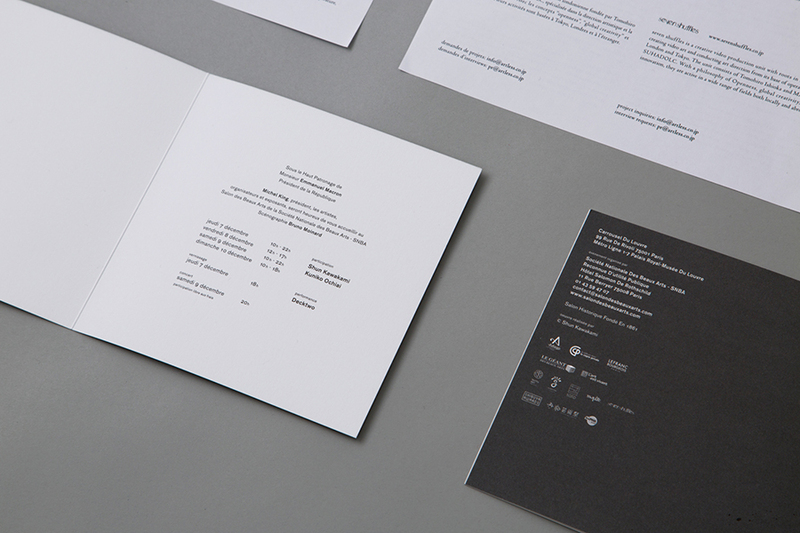 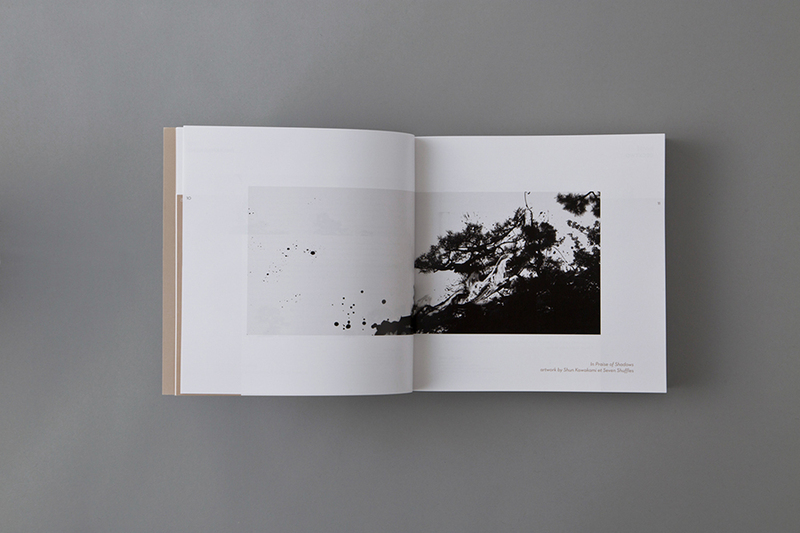 art direction & creative direction: shun kawakami, artless Inc.
graphic design: koyuki inagaki, kanako ueno, artless Inc. 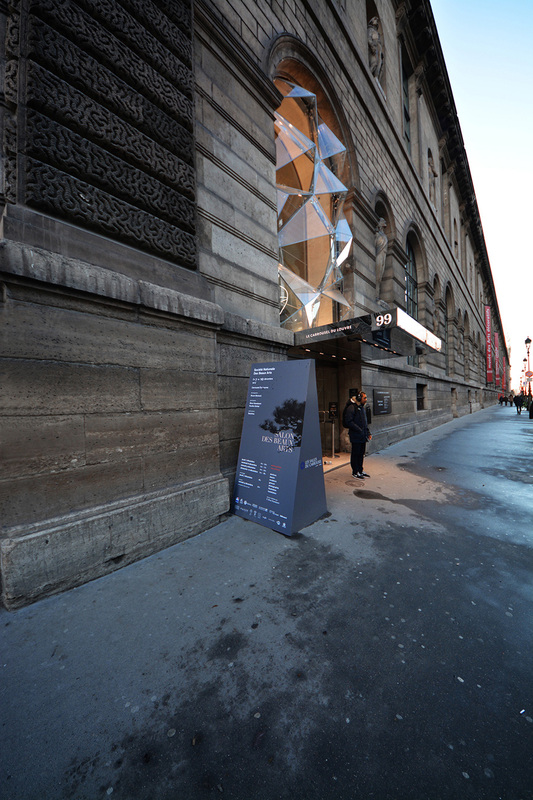 Shun Kawakami, CEO of artless Inc. and art director/artist, was invited to be one of the main artists of Salon des Beaux Arts 2017 at the Louvre Museum, Paris. 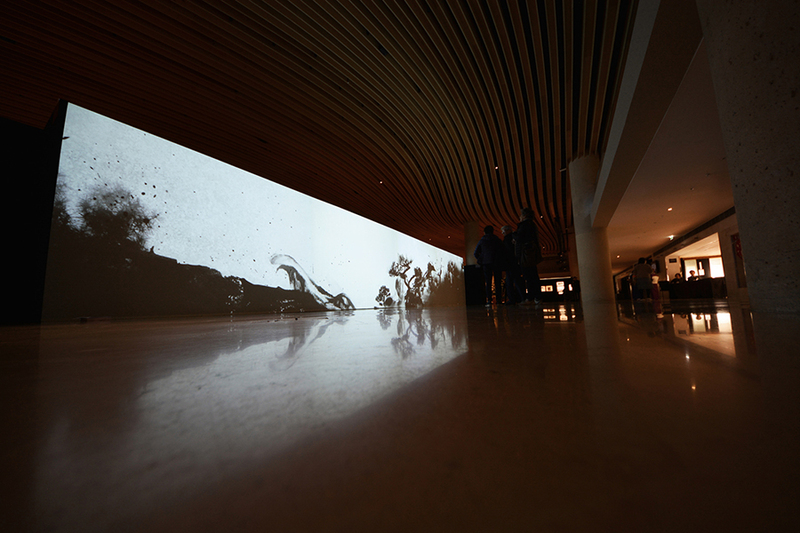 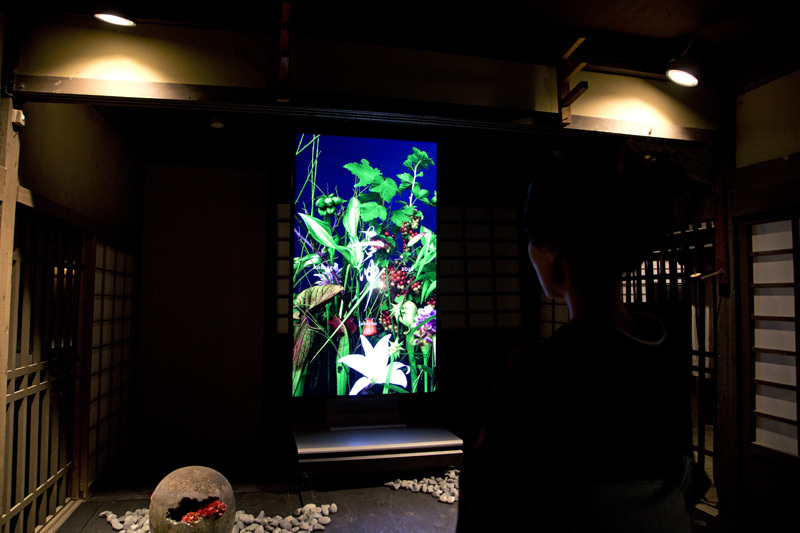 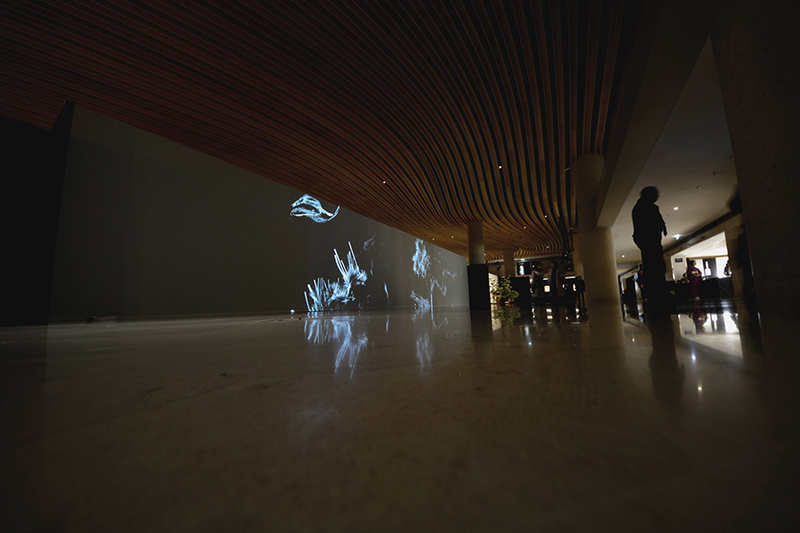 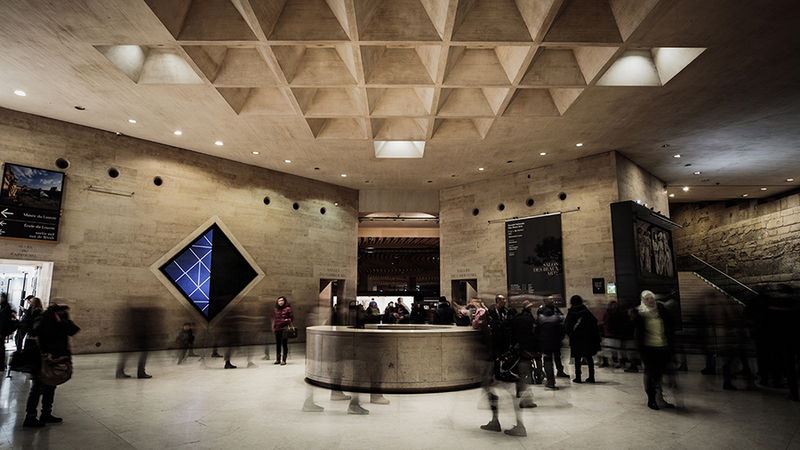 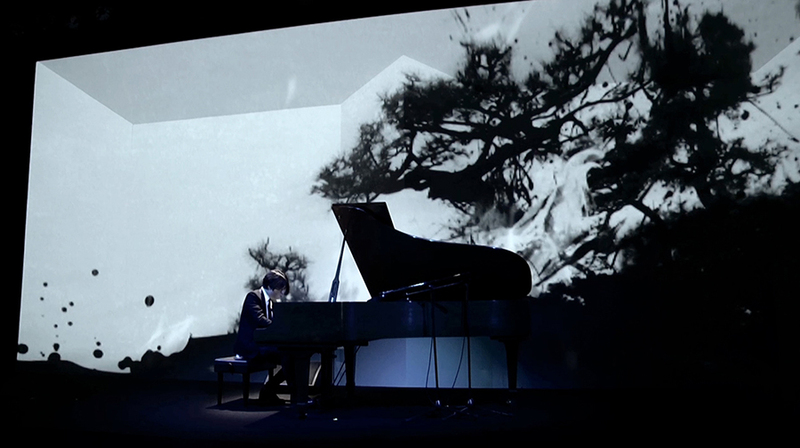 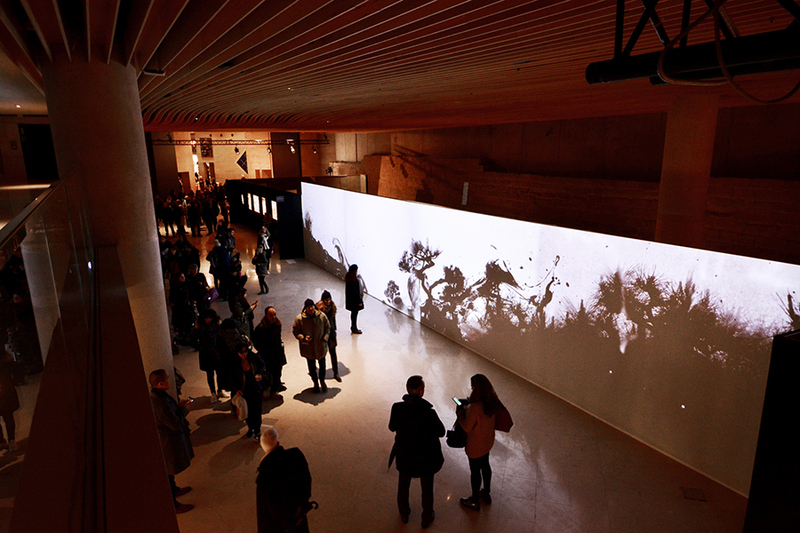 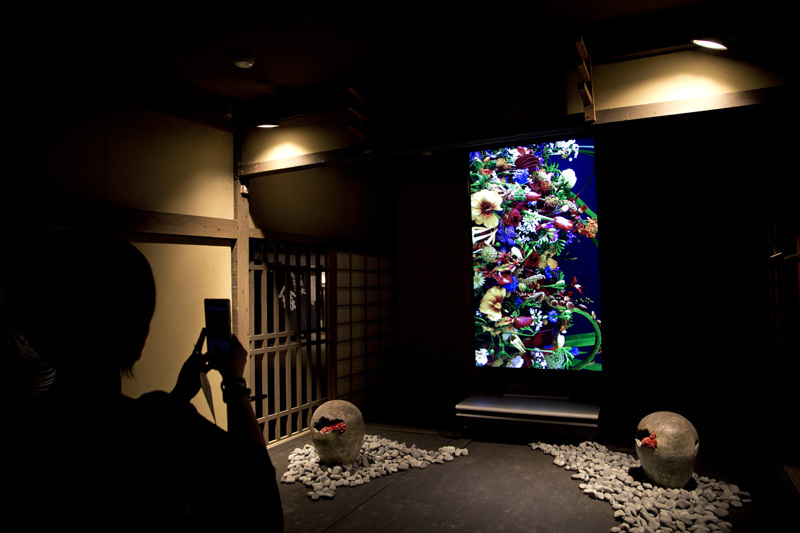 Shun Kawakami exhibited a collaborative artwork with Seven Shuffles, featuring a video installation art spanning to the width of 17.5m. 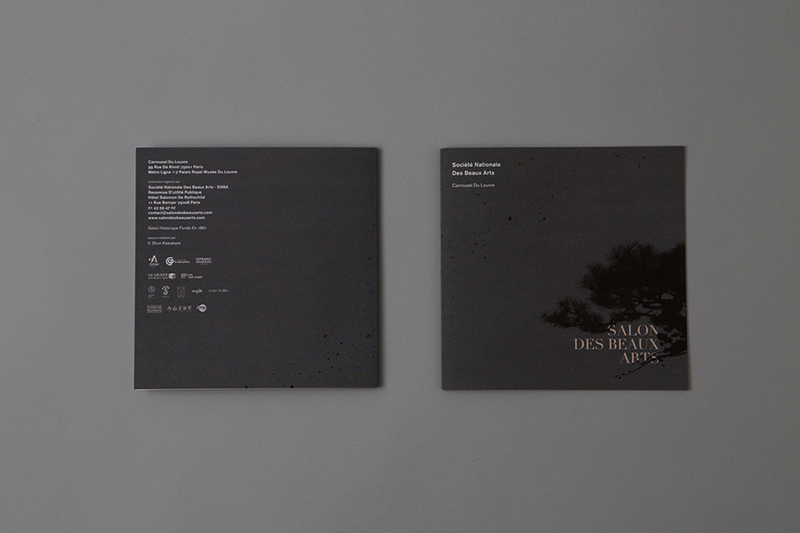 Alongside with the art installation, artless Inc. was tasked to design the book cover of the Salon des Beaux Arts 2017 catalogue, as well as the invitation card and posters. 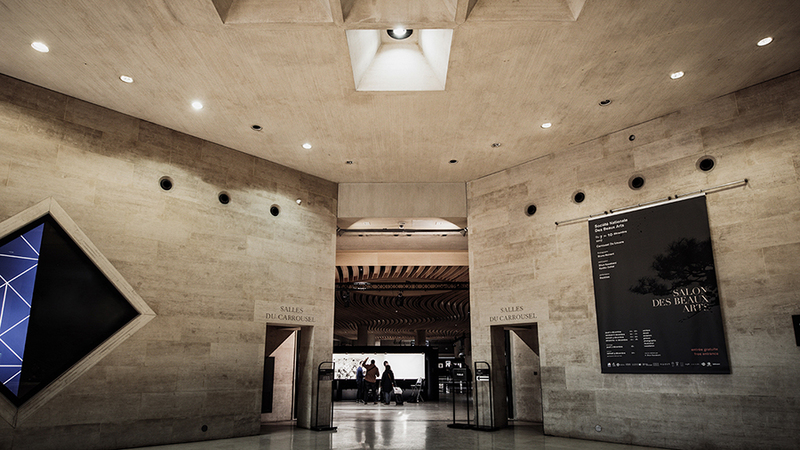 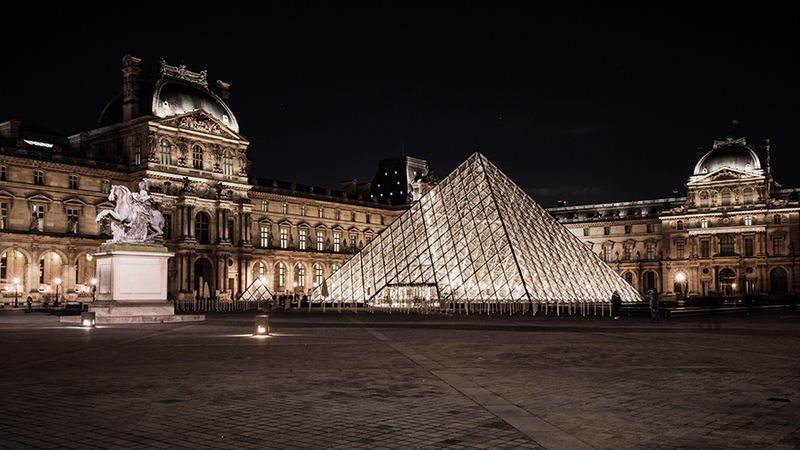 Salon des Beaux Arts is a festival of the arts held every year at the Louvre Museum, organized by the Société nationale des beaux-arts, a French art groupe with a history going back 150 years. 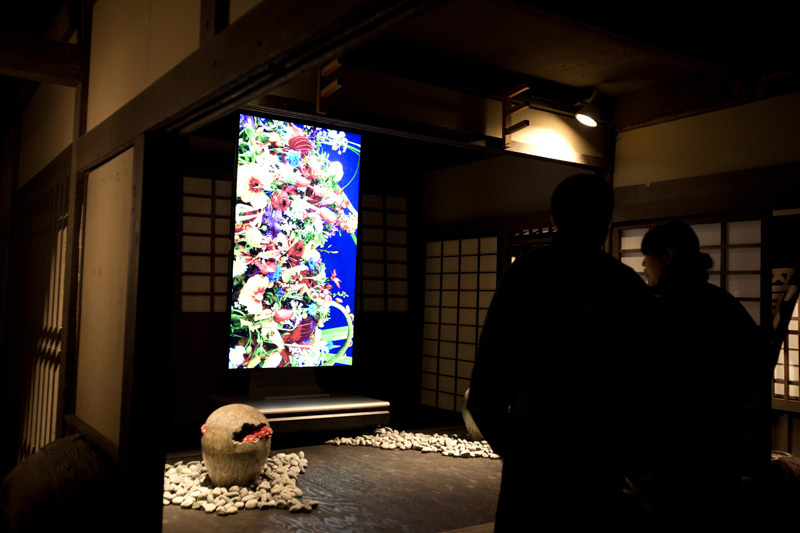 More than 600 artists from across the globe; from painters, sculptors, printmakers, photographers to illustrators, gather to represent the contemporary art scene. 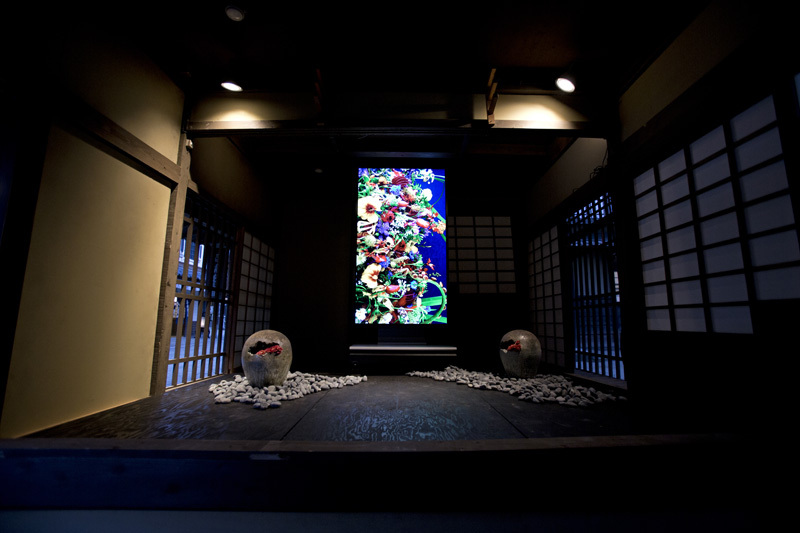 Select artists in each discipline are given awards for their exemplary works. 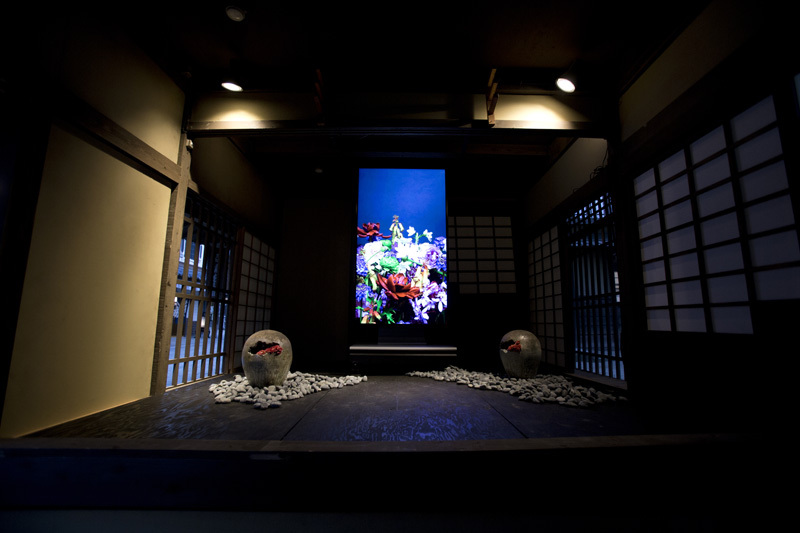 Kawakami’s artwork at Salon des Beaux Arts 2017 has won him the Gold Medal Award. 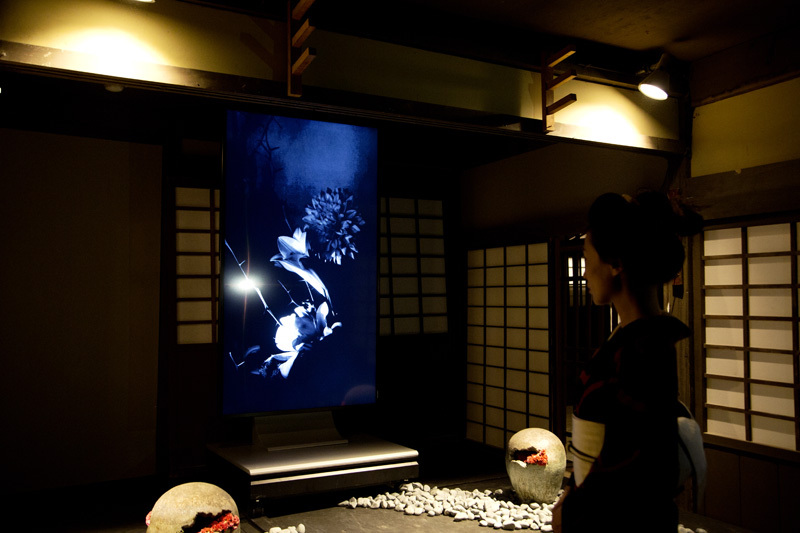 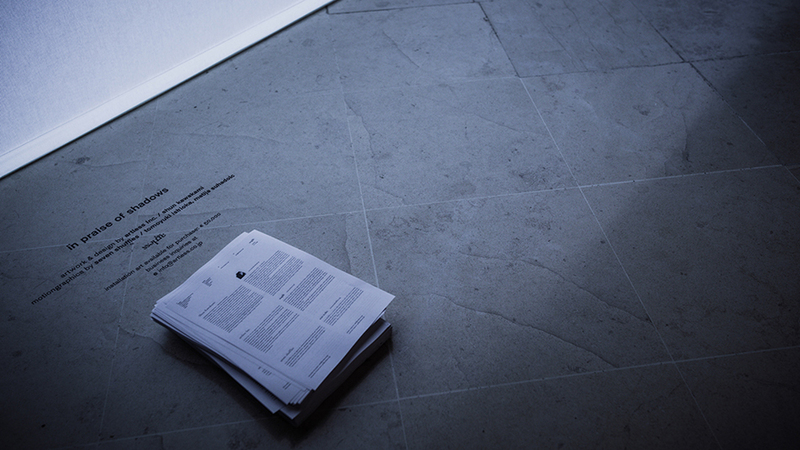 The exhibited artwork, titled “In Praise of Shadows”, communicates of the Japanese sense of beauty, in the foreign land of France by expressing the Japanese ideology of “nothingness”, “the depth in the shadow” and “ephemerals”. 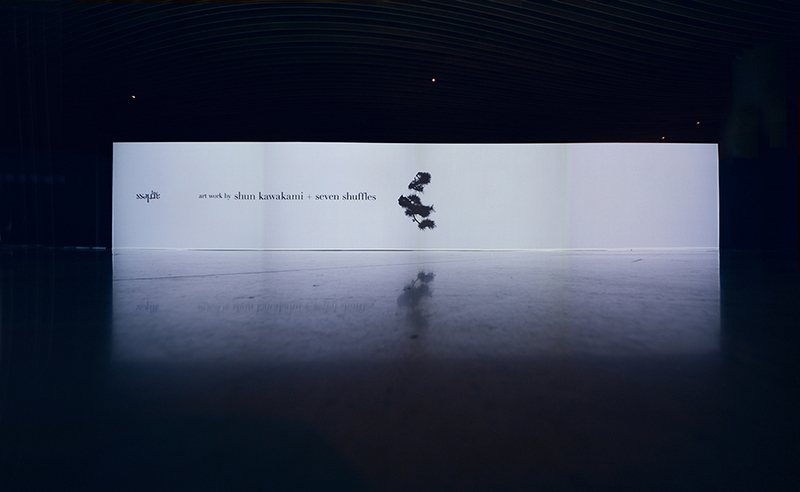 The nothingness, or negative space, suggest further depth rather than non-existence. 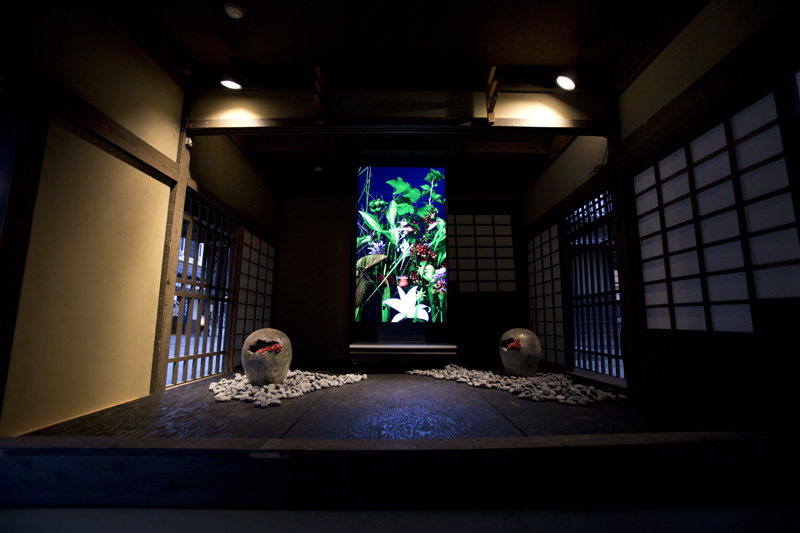 Though Kawakami’s works have always centered around the traditional Japanese philosophical motifs, at Salon des Beaux Arts 2017, he has utilized the temporal and spatial nature of the moving images, to redefine and recognize the “aesthetics of Japan” through lights and shadows. 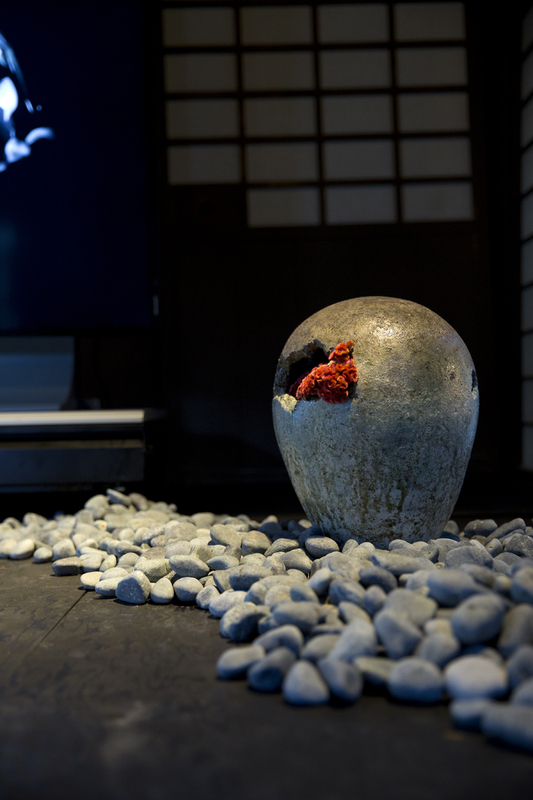 Though their creative fields differ, Shun Kawakami and Seven Shuffles reinterpret traditional Japanese sense of beauty to be presented to the world. 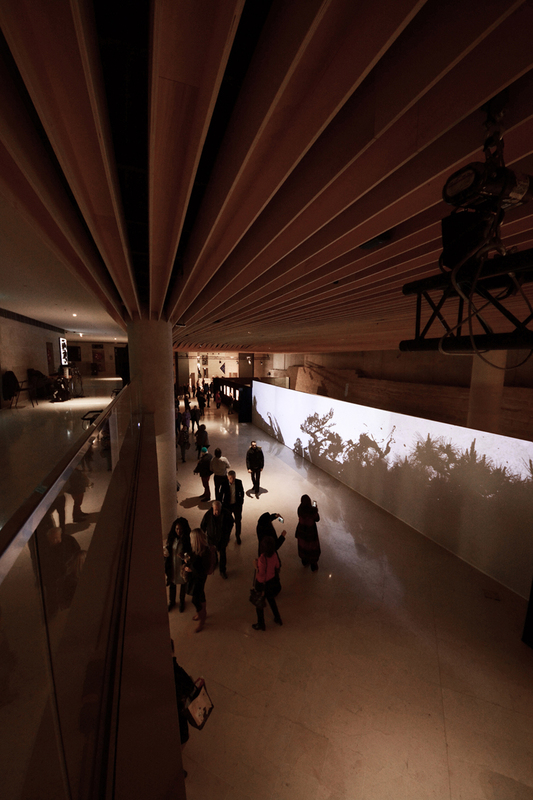 By intertwining videography and global perspectives, they have breathed in qualities to the shadows; scents, humidity and weights. creative direction and produce: artless Inc.
art direction and design: shun kawakami + kazuki kaneko, artless Inc.
agency: ryo kagami, dentsu Inc. + takuhei matsuura, secai Inc.
where guests can enjoy Kyoto’s traditional performances while tasting local sake and foods; all in a meticulously crafted Edo period setting.In commemoration of the 300th anniversary of the birth of Ito Jakuchu, we produced, curated, and art directed an installation and motion graphic piece based on the theme of Jakuchu and flowers. 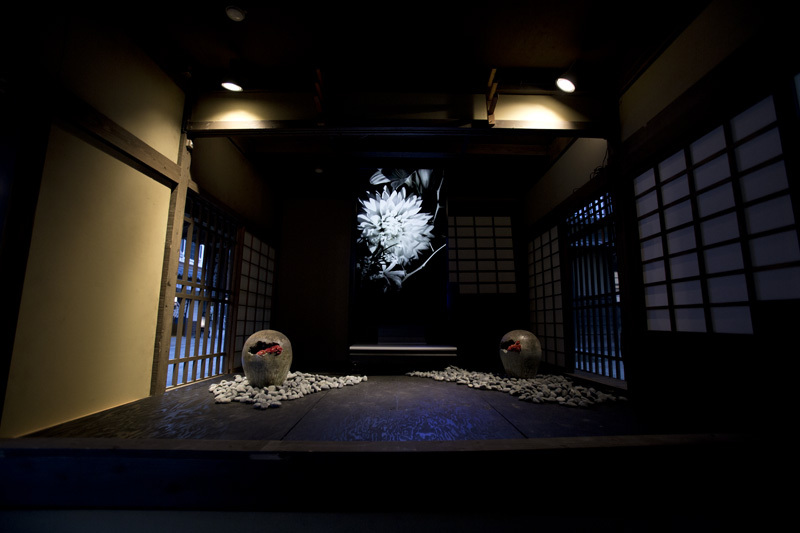 Tanaka Takayuki, a highly recognised flower artist who is active both in his home country and abroad, was deeply affected by Jakuchu’s works and had been creating flower art as an homage to the esteemed artist. 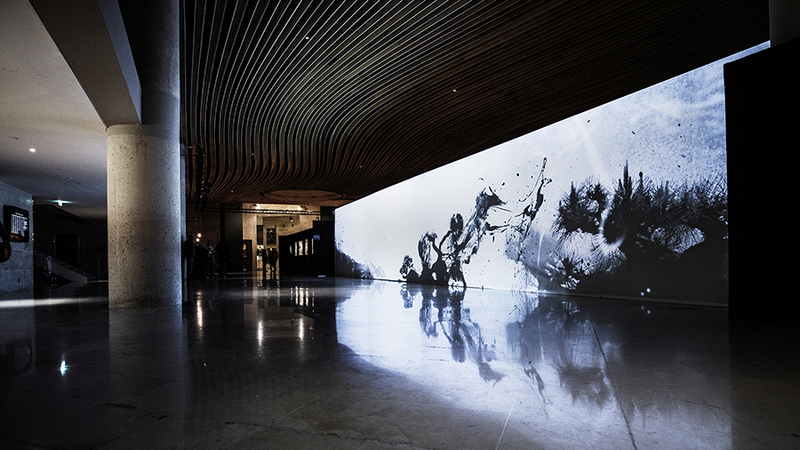 The photographs that he took of his artworks as a record of his artistic journey, were used to create the motion graphic piece.The motion graphic was created by EDP graphic works; a studio based in Shibuya, Daikanyama and Fukuoka, that has created various films and motion graphic works for television shows and commercials.The Suibokuga(Japanese ink painting) featured in the opening of the video was created by Syoh Yoshida, a Kyoto based artist whose artwork had been featured in many galleries in Japan and overseas, including an exhibition in New York. The title was done by award winning calligrapher Yuuna Okanishi. 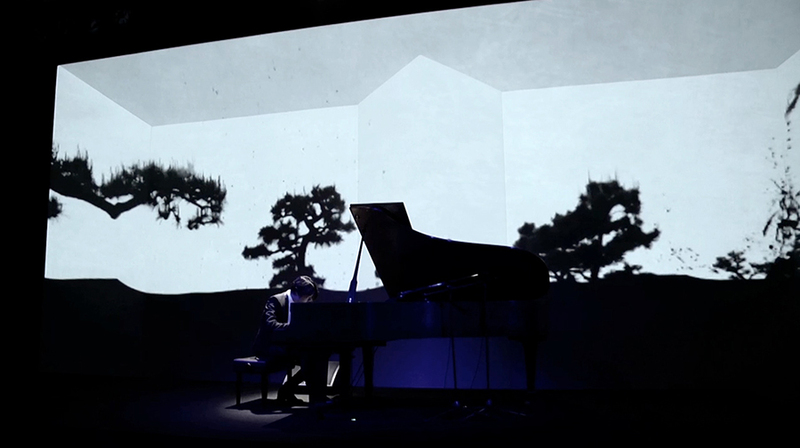 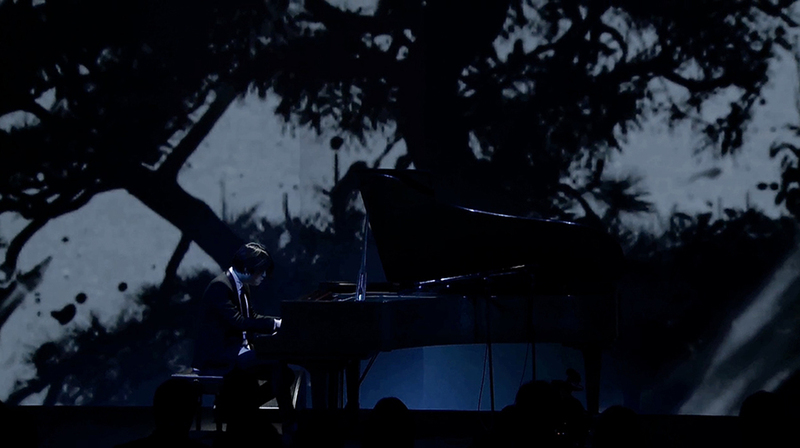 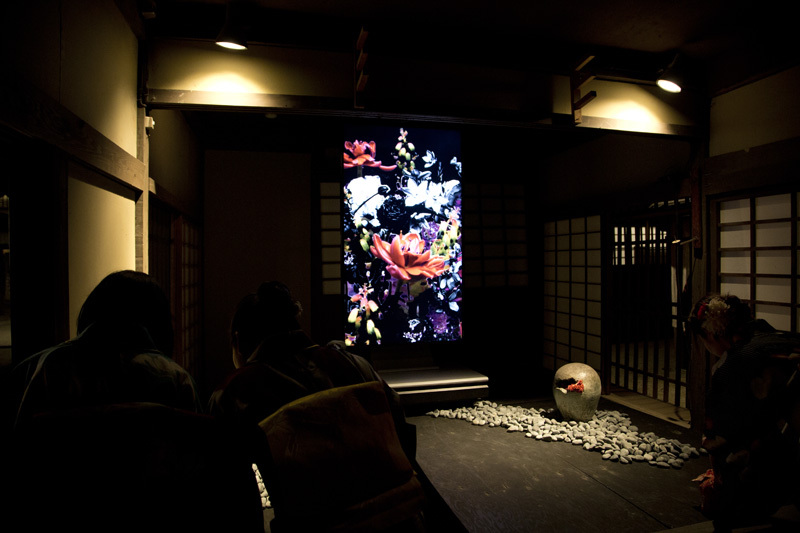 The music was composed by JEMAPUR, a musician who has been at the forefront of the electronic music scene, and rakuyaki-ware artist Hirotsugu Ogawa created the rakuyaki flower vase that works in synergy with the motion graphic to create the singular atmosphere of the space. 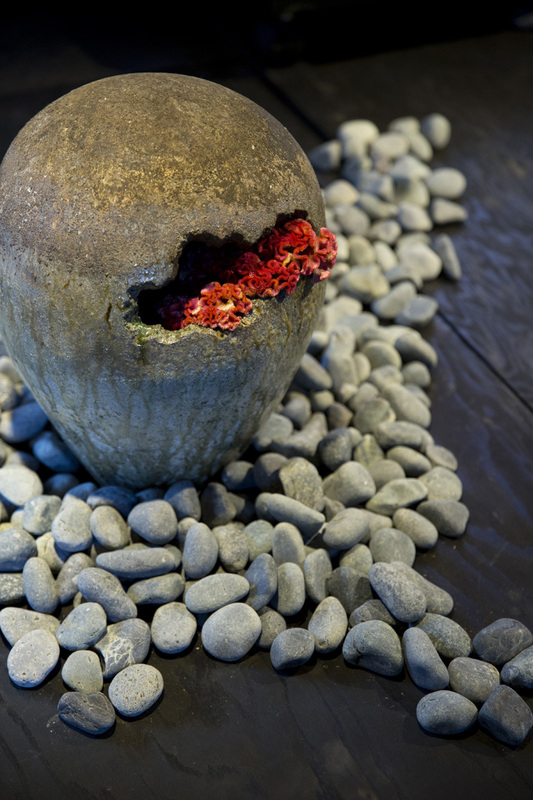 In collaborating with eclectic artists and creators from various fields, we were able to create a space that invokes Jakuchu and the uniquely Japanese notions of ‘wabi-sabi’ as filtered through a modern lens. 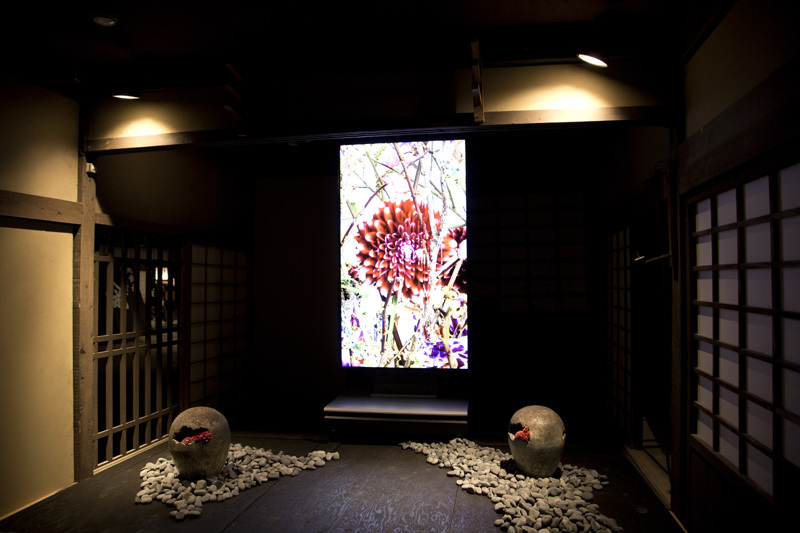 creative direction & artist curation: artless Inc.
Video Installation with Keiichiro Shibuya + 7 shuffles, Reception Party for The Westminster Roppongi at Grand Hyatt Tokyo from shun kawakami on Vimeo.